​​Participate in the development of this amazing breed? Play a key role in Leapfrog Labradoodles' breeding program? Raise, care for, and ultimately own a top-quality, fully health tested Australian Labradoodle at a fraction of the cost? Help ensure that each of our breeding dogs has a full and happy life, and a family of their own? Share the joy your pup has brought you with other families? ​Please read about our guardian home program below. If you are interested and you meet all of the requirements for participation, please submit an application or feel free to contact me for details! Our guardian families are an integral part of our program! They provide permanent loving homes for our breeding dogs. Once the dog is retired from breeding, ownership is transferred to the guardian family. We place breeding quality puppies in forever homes with approved families in Powell River (Saltery Bay to Lund). The adoption fee is waived for families who participate in our guardian program ($1500 deposit required, returned incrementally as litters are born or sired). Jewel lives with her guardian family in Halfmoon Bay. Breeding prospects are carefully chosen for the exemplary qualities they exhibit (superior temperament, coat, confirmation, health testing, etc). Our most promising puppies are placed with approved families who wish to participate in our guardian home program. 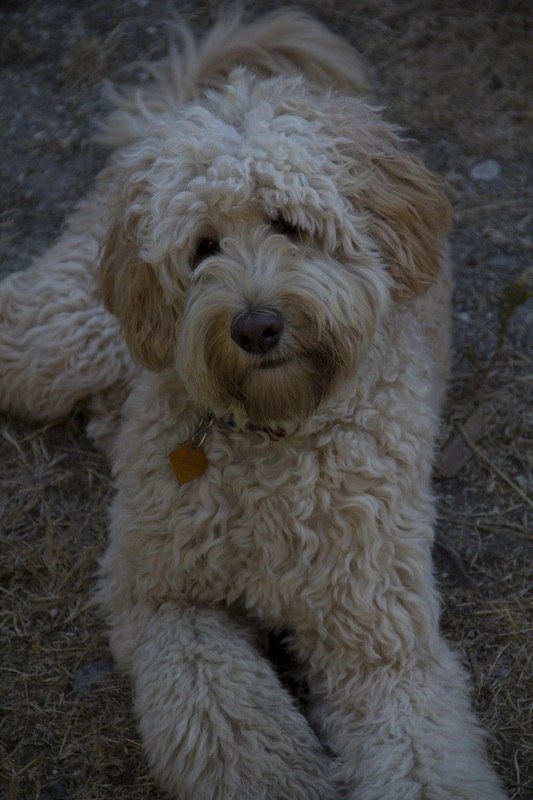 As the pups grow up, they return to Leapfrog Labradoodles periodically for health testing, breeding, and whelping. We encourage guardian families to bring their puppies to visit so that they are familiar with our home and feel comfortable coming to stay with us. Females will return to our home to whelp 3 litters. They will stay with us for 7-8 weeks, until puppies are weaned. After three litters, they are spayed at our expense and ownership is transferred to the guardian family (usually at about 4 years of age). You benefit by getting a top quality Australian Labradoodle puppy free, and by getting to be part of the excitement of our breeding program. You also qualify for preferential pricing if you ever add a second (or third!) Leapfrog Labradoodle to your family. The dog benefits because it receives a permanent loving home, individual attention, and exceptional care throughout its lifetime (as opposed to the kennel environments that many breeding dogs endure). We benefit by remaining kennel free and staying true to our motto: Happy Dogs. Happy People. Families MUST meet all of these requirements to be considered for our Guardian Home Program. You must live in the Powell River area and have plans to remain in this area for the next 4 -5 years. Families on the Lower Sunshine Coast and Comox Valley area will be considered if they agree to transport the dog back and forth to us when needed. Thank you for your interest, but Lower Mainland and South Vancouver Island families are not eligible to participate due to the excessive travel requirements. You must be willing to provide the puppy with a permanent, loving home. You must understand and be willing to assume the additional responsibilities involved in caring for an intact dog. Somebody must be home during the day so that the dog does not spend long periods of time alone. You must have a fully fenced yard and own your own home. You must be willing to crate train the puppy. You must be willing to obedience train and socialize the puppy. You must be willing to provide veterinary care and grooming for the dog as per Leapfrog specifications. You must be willing to purchase pet insurance and maintain coverage for the duration of the agreement. You must be willing to feed the dog a top quality diet approved by Leapfrog Labradoodles. You must be willing to maintain open communication with Leapfrog Labradoodles and allow us to have regular contact with the dog. You must be willing to return the dog to us as needed for health testing, breeding, and whelping. You must be willing to pay a $1500 deposit, which will be returned incrementally as the agreement is fulfilled. Bean lives in a guardian home on Bowen Island. Sparrow lives in a guardian home in Roberts Creek. Jasmine lives with her guardian family in Sechelt. We appreciate our guardian families and the role they play in our program! If you think you might be interested in becoming a guardian family for one of our breeding dogs, please fill out an application and indicate that you are interested in being considered for our guardian program. In the comments section, please tell us why the guardian program appeals to you. Thank you. I look forward to hearing from you!